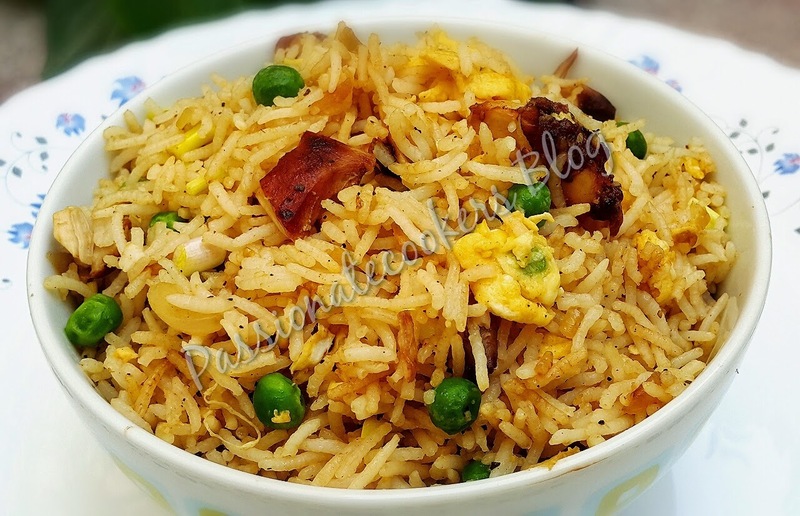 By the way who doesn't like Fried rice... Its one of the comfort food for many of us. 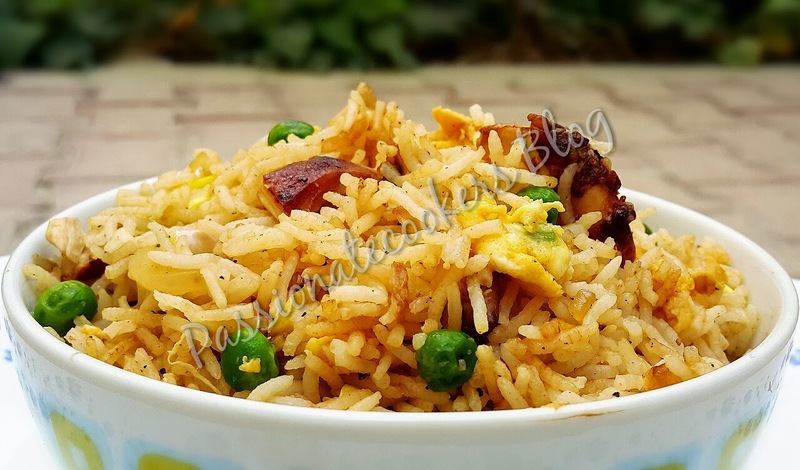 But this is not a regular recipe and i thought of taking the love for fried rice to the next level so here i am to present a step ahead "Teriyaki Chicken Fried Rice". 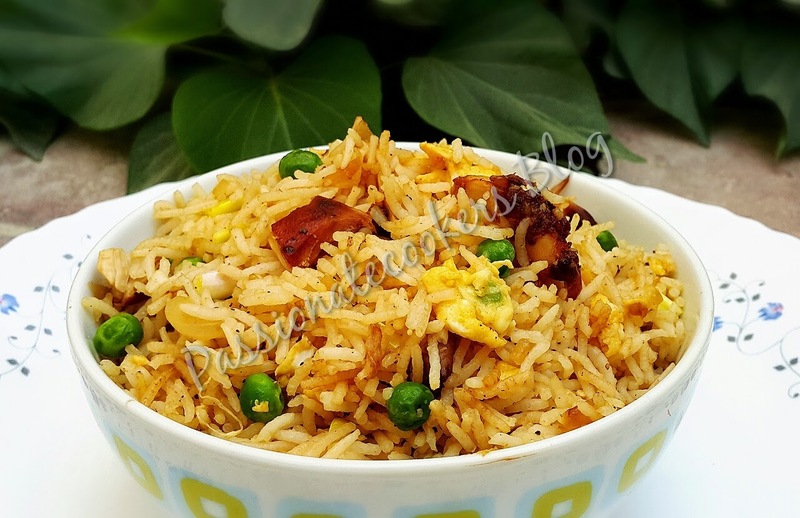 This fried rice is enhanced with the flavors of the Teriyaki Sticky Chicken which gives this dish a great flavor and taste. Cook and shred the chicken as per the Teriyaki Sticky Chicken. Preheat a large pan to medium heat and pour sesame oil. Slide the tender veggies to the side, and pour the beaten eggs onto the other side. Using a spatula, scramble the eggs. Once cooked, mix the eggs with the veggies. Pour the soy sauce on top. Stir and fry the rice and veggie mixture until heated through and combined. Add chopped green onions if desired. I love this recipe. Every time I make it I get fabulous compliments from everyone. It is awesome thanks. Happy to know that you liked the recipe... Thanks for your comment.